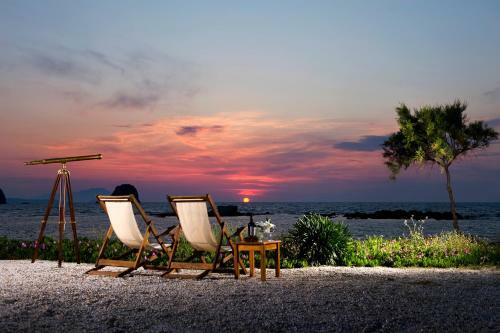 Enjoying a seafront location at Pollonia Beach, Christo Rooms & Studios are built in Cycladic style. They offer self-catered accommodation with air conditioning. Free Wi-Fi is available in all areas. Facilities include a BBQ and a garden. Just a 5-minute walk from the centre of Adamas Town, Fantasy Rooms offer a garden and a 24-hour front desk. They feature air-conditioned accommodation with free WiFi access. The property is 900 metres from Adamas Port. 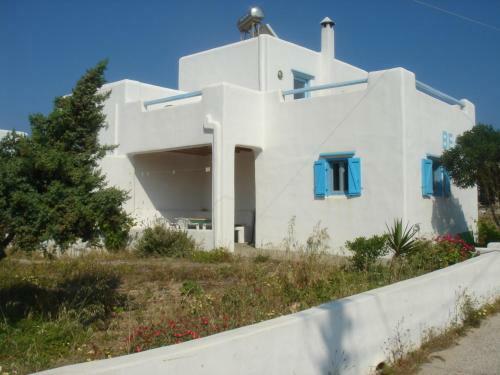 This centrally situated, yet quiet residence is only 5 minutes from Adamantas port and 3 km from the airport. It offers air-conditioned rooms with TV and balcony with garden view. Situated in Milos, the island where the sea is enhanced by colourful rocks and golden beaches, our small family-run property is a modern complex featuring traditional Cycladic architecture. Semiramis Hotel is located just 100 metres to the city centre of Adamas in Milos, and within walking distance from the beach. All rooms feature a private bathroom, TV, air conditioning and fridge.